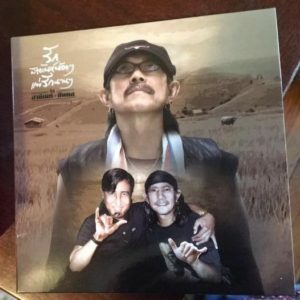 Note: Ironically, I didn’t know much about one of “two great men” honored in this song “that everyone knows well.” But I knew that one of them is Surachai Jantimathawn, aka Nga Caravan (pronounced “Carawan”), and he often plays with Carabao when they do this song (though not in this video). The band always takes it up a notch when they play this song live with Nga Caravan. 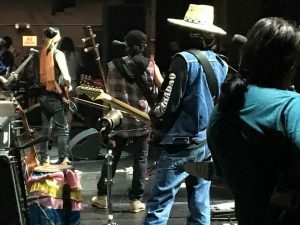 They very clearly love the song and the musican(s) they are honoring, resulting in an energetic, really fun performance. 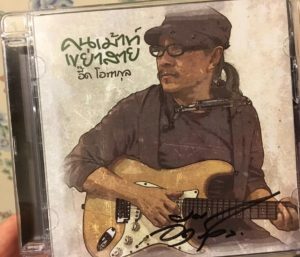 By googling, I learned the other musician is สุรพล สมบัติเจริญ Surapol Sombatcharoen (l930-1968), called the “King of Luk Thung” (The King of Thai County Music) and “The Thai Elvis.” You can read more about both musicians on Wikipedia. (You can even google their names in English). I will post the songs referenced in this song after the translations. 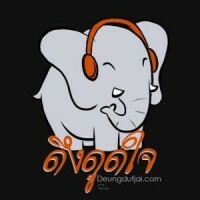 in the field of Thai music. Surachai will do a solo! Ow! Surachai, [play that] solo! Because Surapol has died now. But Surachai still lives. Some people call him Teacher. Some people call him Head Teacher. Have been singing for a long time. Still don’t have a house to live in. **The words of these two lines (at least) are from one of Nga Caravan’s most popular songs ‘Khon Kap Khwai’ (‘Man and Buffalo’). 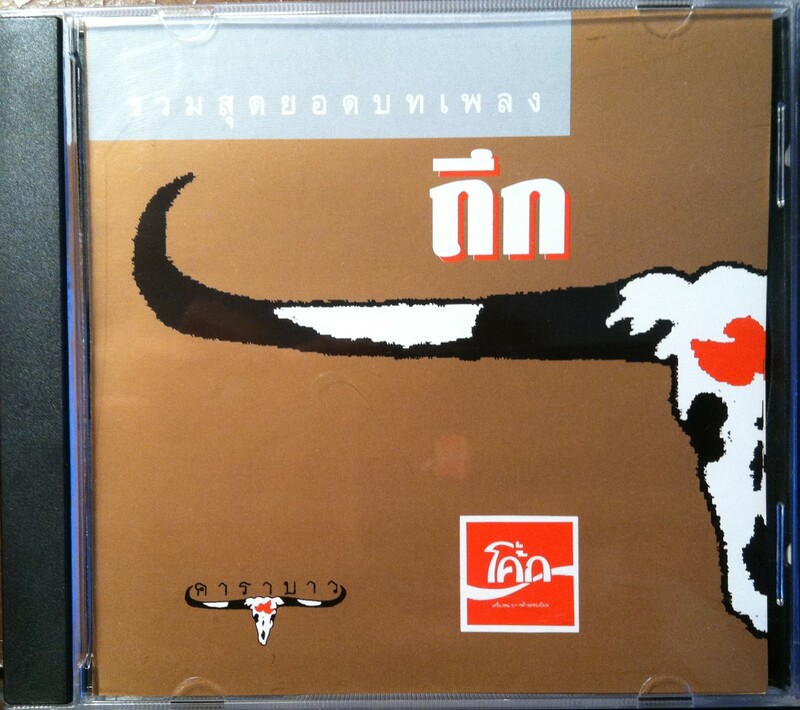 According to Wikipedia this song “rhapsodizes the relationship of rice farmers and their water buffalo . . .’” Also, recall that “Carabao” means “buffalo” in a Filipino dialect. *** October 14, 1973, when a massive student-led popular uprising overthrew the military dictatorship, resulting in a brief period of democracy. Another Caravan album was “A Collection of Songs For 14 October 1973, Vol. 2,” 1976.